"For the past year and a half of this nightmare, I have not been free to speak out about what happened. Now that Andrew has been fired, I am," she wrote. Jill McCabe, the wife of former FBI Deputy Director Andrew McCabe, who, along with her husband, was repeatedly attacked by President Donald Trump, broke her silence in a passionate editorial, calling the ordeal that the president put her a family through a "nightmare." 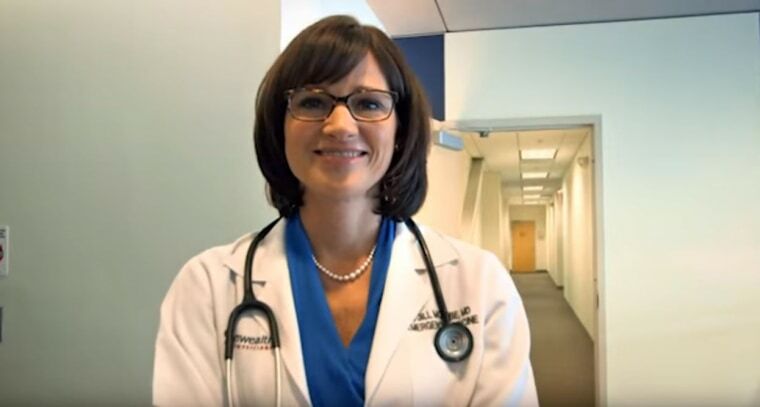 Jill McCabe, an emergency room pediatrician who ran unsuccessfully for the state Senate in Virginia in 2015, faced criticism from Trump about donations made to her campaign, while her husband was also the target of broadsides from the president and was ultimately fired just days shy of his planned retirement. In an op-ed in The Washington Post published on Monday night, she spoke out for the first time, saying that she'd only run for office in the first place "because I was trying to help people," but that "it turned into something that was used to attack our family, my husband's career and the entire FBI." McCabe wrote that as an emergency room doctor, she'd never thought much about running for office until she was recruited after speaking publicly about the importance of expanding Medicaid. "That decision — plus some twisted reporting and presidential tweets — ended up costing my husband, Andrew, his job and our family a significant portion of his pension my husband had worked hard for over 21 years of federal service," she wrote. "For the past year and a half of this nightmare, I have not been free to speak out about what happened. Now that Andrew has been fired, I am." Trump, The Washington Post reported in January, asked Andrew McCabe during an introductory meeting at the White House last year, whom he had voted for in the 2016 presidential race (McCabe reportedly responded that he hadn't voted) and expressed anger at McCabe over donations his wife received during her 2015 race from a political action committee associated with then-Virginia Gov. Terry McAuliffe, an ally of Hillary Clinton. Trump would go on to make repeated public references to the campaign donations, suggesting that they were an attempt to influence the FBI’s investigation into Clinton's emails. And, as NBC News reported, even suggested to Andrew McCabe that he ask his wife how it feels to be a loser. Jill McCabe, in her editorial, ripped Trump's insinuations as "fake and utterly absurd," pointing to the fact that the donations came before her husband became the FBI deputy director. Attorney General Jeff Sessions fired McCabe last month, just two days before he was to retire and become eligible for full pension benefits. Sessions said at the time that he'd accepted an internal recommendation from the FBI that McCabe, a 21-year agency veteran, be terminated. CORRECTION (April 3, 2018, 10:05 a.m. ET): A previous version of this article misstated Andrew McCabe's title at the FBI. He was the deputy director, not the director.